Dear players, the entertainment time is gone, the time has come for the serious actions! Who controls transport - controls business. Who controls business - controls everything. Both business and transport require absolute accuracy. The astrologists have spent their time over star maps and finally discovered the three magical numbers which guarantee success in business and safety in travels: 11901, 9111 and 1191. Collect exactly these numbers of Dominance on Airport and Business Center districts after the closest redistribution (6 and 35 hours from now accordingly) and before the next redistribution and participate in the contest! Three super-prizes will be given away to three lucky ones amongst the winners. One gets Zombie (or +1 to an existing Zombie), the other one gets Virtuoso mediator and the third one gets Avenger +1 (or +2 to an existing Avenger). Shall you gain one of the mentioned numbers on both districts, your chances double! 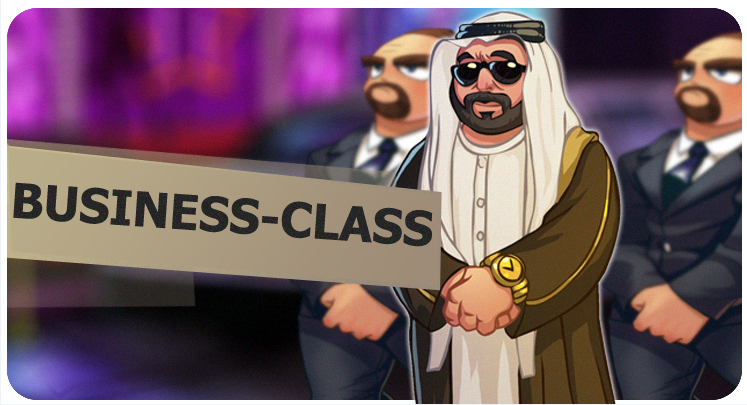 Dear players, it's time to reveal the results of Business Class contest. Unfortunately, two other numbers predicted by the astrologists were ignored by the players. Amogst the candidates for the main prizes Nastigator was randomly chosen for the ownership of Zombie pet! The second lucky musician is Fractal who gains Virtuoso mediator. MaRkIzALiVe is the third winner and gains Avenger +1! All the rest candidates who were not lucky enough to win the main prizes shall get Steel boxes. The prizes will be handed out within 24 hours. Thanks for your participation and good luck in the upcoming contests!